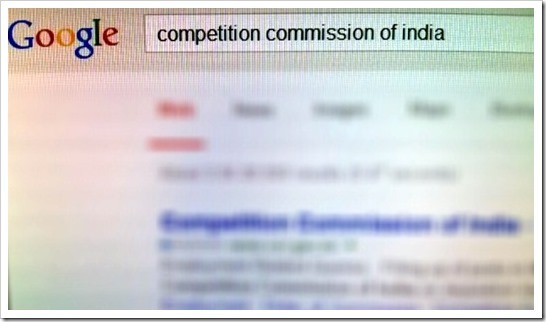 Competition Commission of India (CCI) has slapped a fine of Rs 1 crore on Google Inc. The fine has been placed on Google as it failed to provide CCI with the requested information and details pertaining to the ongoing anti-trust cases running against them. The Director General (DG) of CCI has slapped this fine on Google as it’s still waiting for the documents and information from Google, and so far they have not received any information. As per CCI, The Director General had issued 7 dates to Google for presenting it’s case and submitting various documents to help solve the ongoing issues. The dates were: February 12, September 26, October 11, November 13, November 27, December 3 and December 21. However, Google failed to be present in these dates, which prompted this fine of Rs 1 crore. We had earlier reported that Google is right now staring at a fine of Rs 31,000 crore by Competition Commission of India for “abusing its dominant position in the online search and advertisement market” and anti-trust activities. The investigations are still on, and the fine of Rs 31000 would be applied only if Google is found guilty. However, as CCI has not received much information and documents from Google’s side, this current fine of Rs 1 crore has been placed to set the motion. Google has said that they have full faith and trust in the Indian judiciary system and they will continue to fully co-operate with CCI in their ongoing investigations. Google has in a way admitted to the delays caused by them, but have maintained their stand that the delays are being caused due to “genuine reasons”. The anti-trust case currently being investigated by CCI against Google was initiated by BharatMatrimony.com as they have alleged that it’s competitors Shaadi.com, JeevanSaathi.com and others had hijacked their brand names and used to run advertisements on Google which resulted in huge financial loss. Last year, CCI Chairman Mr. Ashok Chawla had said, “That is when you click on Google under a certain category, you will get the platforms where there is a tendency to put them in a certain order which may not be the fair and non-discriminatory manner. So, what is the software and what is the algorithmic search (That is) what the investigation team is looking at,”. We will keep you posted on the latest information regarding this case against Google. Stay tuned!